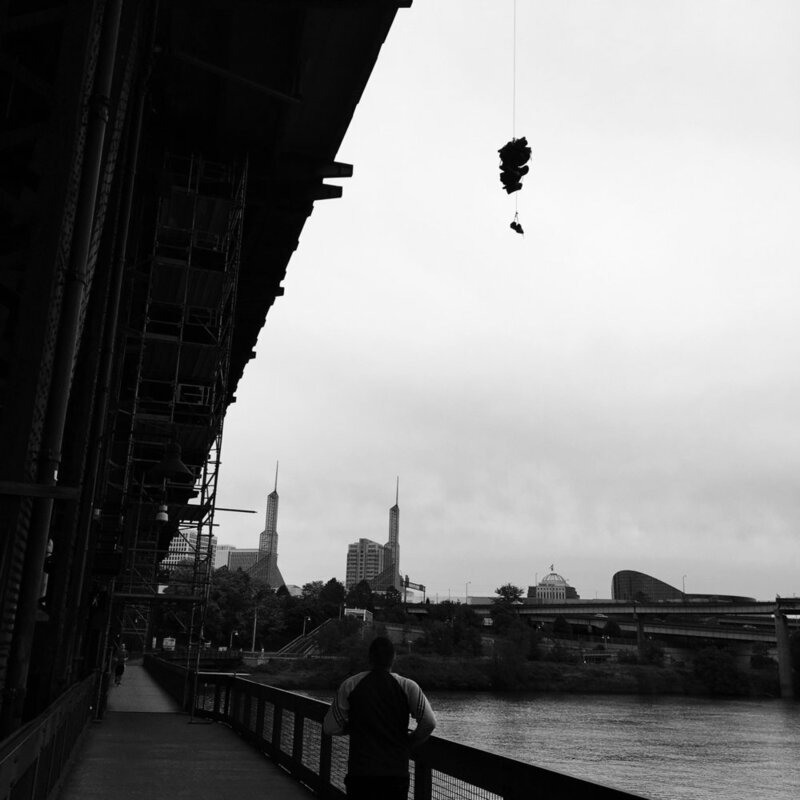 xvi is a guerilla installation that existed on the steel bridge [pdx] for three days in may 2016 before it was taken down and removed by the authorities. xvi is a reference to the 16 pairs of shoes i collected for this piece, i then dipped all 16 pair in black paint. i choose 16 because laquan mcdonald was shoot 16 times in chicago in oct 2014 by the police. he was 17. justice for laquan. 7 and a half hour durational installation performance. performed in portland, or. in dec 2015, from 11.30 am to 7.00pm. starting with the most recent (dec 15th 2015) and working my way back i wrote, in chalk on the asphalt, the names of all the people killed by police in america. i made it to aug 2015.
people from other buildings would see the names and inquire, people walking by would stop and inquire, or pause. some looked up the names on their phone. people would shake my hands, thank me, hug me and encourage me to keep going. someone walking home with flowers for their mother, left some for the names. it rained that night and in the morning all the names were gone.